A page from Charles Doolittle Walcott's field notebook of 1909. The page has contemporaneous sketches of Marrella, Waptia and Naraoia. 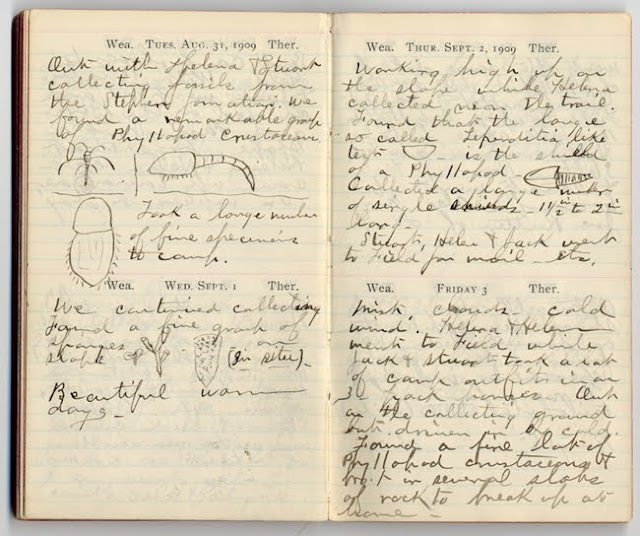 The original diary is in the Smithsonian institution.